The issue of black poverty, and black children in poverty, has not suffered from lack of attention. The story of remarkable Simone Biles, America's new record-breaking Olympic gymnast, serves up a powerful elixir for America's troubled soul. We need only take a close look and learn. Biles came into this world in circumstances which most would conclude were hopeless: black, poor, fatherless, with a drug-addicted mother. Circumstances such as these point to a high likelihood that this child would expect a life of poverty. 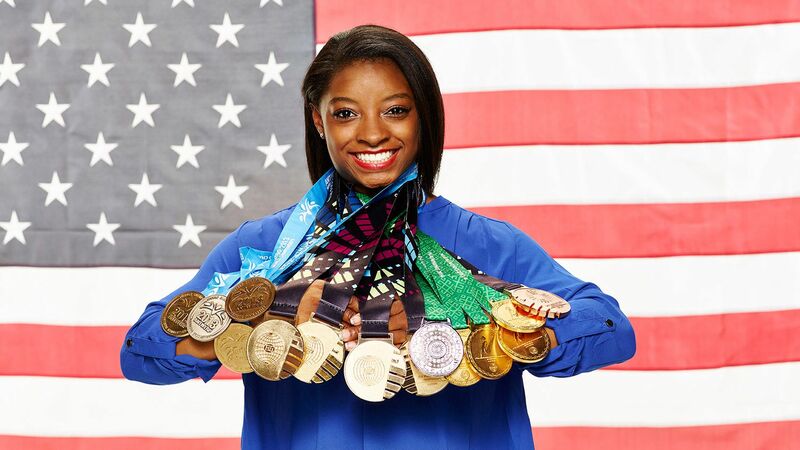 But as everyone now knows, Simone Biles, at the age of 19, already has achieved far more than any average child and, with great likelihood, a life of achievement and prosperity awaits her. Because of her extraordinary character and performance as a gymnast — many say she is the greatest of all time — her personal story has been widely publicized and read. But beyond the joy we experience from watching her and learning about her, we must ask if there are lessons to be learned. Are the circumstances that saved Simone Biles, and paved the path on which she became a champion, so rare and unusual that we can just call it a miracle? Or are there principles that can be learned, extracted and applied to save others in similar dismal and trying circumstances? The question is critically important, because the circumstances of Simone Biles' birth are not rare; they are circumstances that disproportionately define so much of the trials and tragedy that exist in parts of black America. Black poverty is concentrated in single-parent households. And over the last half century, the incidence of single-parent black households has skyrocketed. In 1960, 2 percent of black children lived in a household with a never-married parent. By 2008, this was up to 41 percent. Over this same period, the incidence of out-of-wedlock black births increased by more than 100 percent — to 72 percent by 2008. And the incidence of marriage dropped by half. In 1960, 61 percent of black adults were married. By 2008, it was down to 32 percent. In 1965, President Johnson made a point to speak at graduation ceremonies at the historically black university in Washington, D.C., Howard University, about his war on poverty. Trillions have been spent on government programs addressing the issue. Yet, in 1976, 40.6 percent of black children lived in poverty and by 2013, it was 38.3 percent — barely any change at all. Arguably, the alleged cure — government programs and spending — has really been the disease. There has been a lot of attention over the last week about the 20th anniversary of welfare reform. One of the enormous problems of welfare was its implicit incentive to women on welfare to not marry. However, although a government program may incentivize women in distress not to marry, there is no government program that can create conditions for individuals to want to take on the responsibility of marriage. Which gets to the point. Simone Biles was saved by Christian love. Her mother's father and his wife pulled her from the bosom of disaster. They adopted her and her sister, took them to their home, became their mom and dad, gave Simone Christian home schooling and transmitted the values that built this incredible young woman. Here is our wake-up call. Today's dire situation in much of black America reflects more than a half-century of trying to solve problems with government rather than with Christian values of love, family and personal responsibility. What government broke government cannot fix. Unfortunately, there are not loving grandparents to rescue every black child in poverty. But we must work in creative ways to produce these conditions and know that only approaches defined by these Christian values will solve these problems. And know for sure: They will not be solved through politics and government.